Whew. A hard day in the loom room. My first warp was a mess. 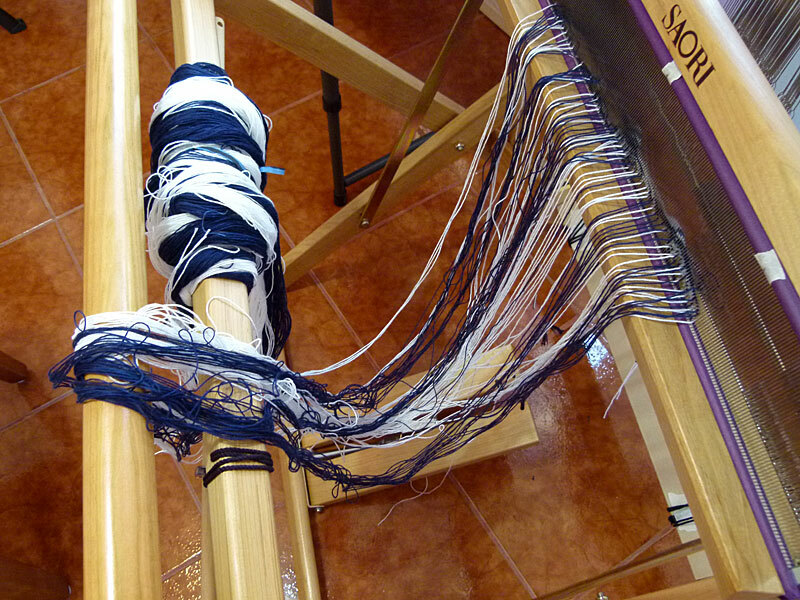 I got my threads crossed on the warp board not realizing it was going to create chaos later. I decided to do a dark blue and white warp to go with some strips of fabric i cut from an old caftan that was indigo shades. I decided to do 50 ends of each color. I started by warping all white then all blue thinking i could choose my arrangement of colors later.